I'm going to do that annoying thing here where I've learnt one piece of information and think I'm a psychologist but I know that if I keep these facts to myself, I won't be helping anyone and with some of this being on my psychology exam it's actually helping me. So here is some information as to why certain revision techniques are successful as well as some online resources to help you along the way. This suggests that, to remember information, you really have to understand it. Don't just memorise the words on a page but think as to why it supports an argument or why it explains a certain theory. It's like when they say show your working out in maths- you don't just know the answer but you've worked out why that answer is what it is. By doing this, you're rehearsing information even deeper than just writing out notes. This suggests it's not always about the amount of revision that's done but the way it's done that is the key. If I hadn't of leant this, I would have been sat at my desk just an hour ago summarising and condensing topics but it's found that, unless you've revised the information repeatedly in it's entirety, summarising won't help. It should be one of the last steps in your revision and not one of the first as then the summaries will jut act as cues to the long explanation you can give on that certain topic. This is all about words and pictures and is based on the idea that they are processed separately. Therefore, if you can place a relative image next to a word or piece of text, the information will be double encoded and more likely to be remember. This idea helps explain the success on the beloved mind map. Research has suggested that you can double the amount of information remembered by including practice questions in your revision so if that isn't a big plus to practice questions what is? Most teachers will set practice papers for homework or in lesson time but it doesn't mean you can't do more. Create flash cards for others to ask you, give the past papers another go even if you've already done them, write out the longer essays then highlight key points(two in one there!). If you haven't already see what type of learner you are and find methods specific for you here. If you're teacher's not the best or you want to see teaching from another perspective, find power points among other great resources on slideshare.net. You can search a subject and an exam board and someone will more than likely have uploaded something on the topic. An app I found which can be a great last minute practice help is Gojimo. It asks questions specific to subject and exam board. I used it quickly before my mocks and I know I'll be using is again soon; it's available for Iphone and Android and also online here. There are some other really useful apps out there(I've got a great psychology one) so definitely have a look around because you might find some great ones. S-cool is another website to have a gander. Some pages have a few activities and, while some information may not be what you're teachers have taught, don't worry as extra information is included on the site to cover all way different teachers teach. Another website that I have dabbled in the past to just read over research or essays is Get Revising. With teacher's on board with the site, it's definitely reliable and proven effective. Just sign up and have a look around. 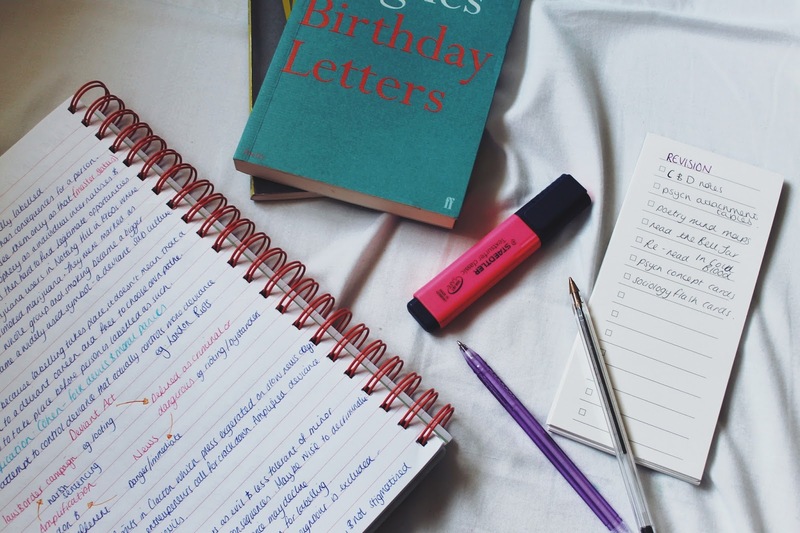 So I hope this post didn't bore you too much and manage to find something interesting that may alter your revision or just confirm that the way you're revising is working. Have you got any good revision tips or resources?